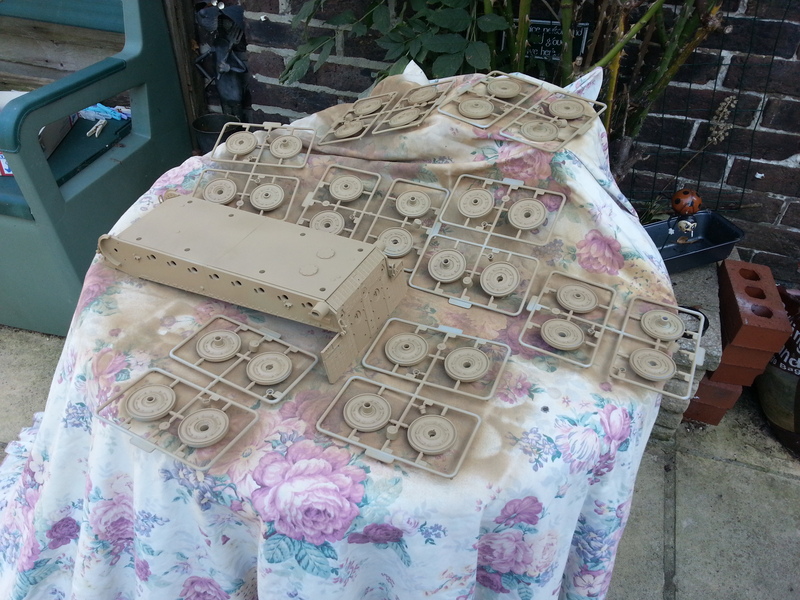 Work has started on the World of Tanks Ferdinand kit. I started by working on the main chassis and getting the hull together. The suspension took a little while to make as it is each of the 6 parts are comprised of several small parts. After adding these I filed and built the gun. 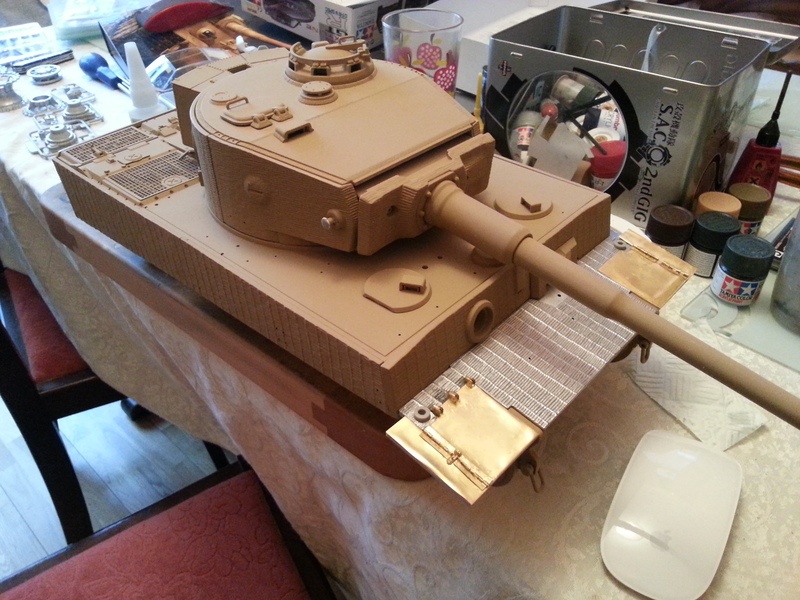 I gave the gun a coat of dunkelgelb to ensure that the whole of the ball of the gun is painted in the base coat. This will prevent unpainted spots appearing when the gun is moved. Before fitting the gun into the turret I primed the hull so that I didn’t need to mask the gun up. 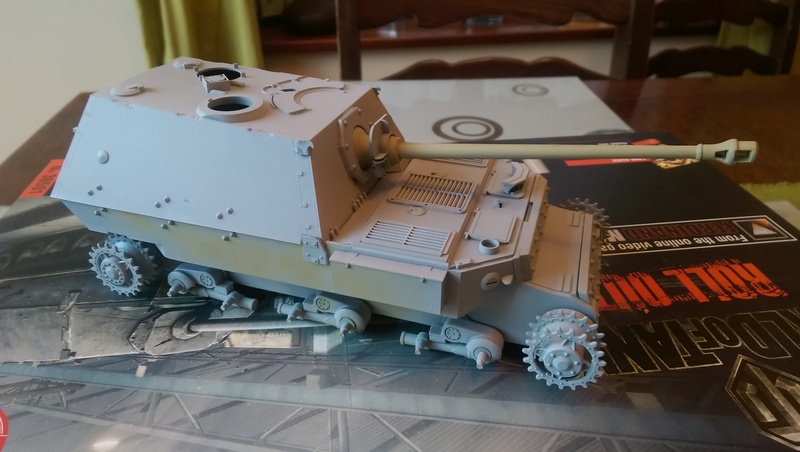 I intend to paint a camouflages scheme on the tank destroyer using dunkelgelb as the base coat with green and brown areas. 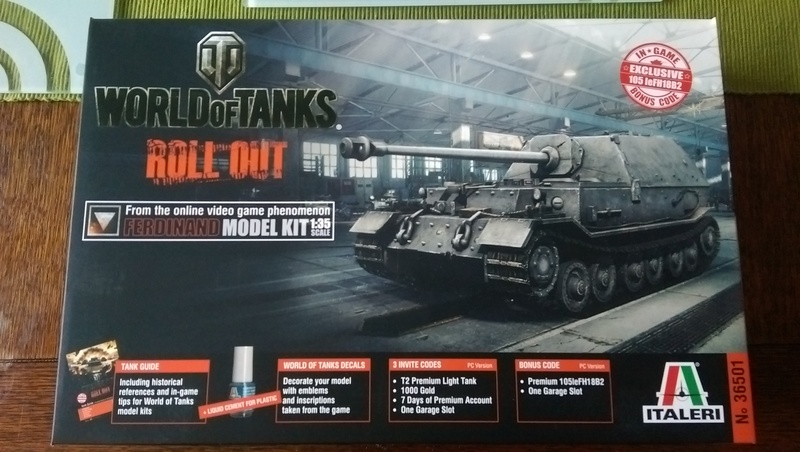 I am a keen player of World of Tanks, so when I discovered that there were WOT kits available I decided to investigate. 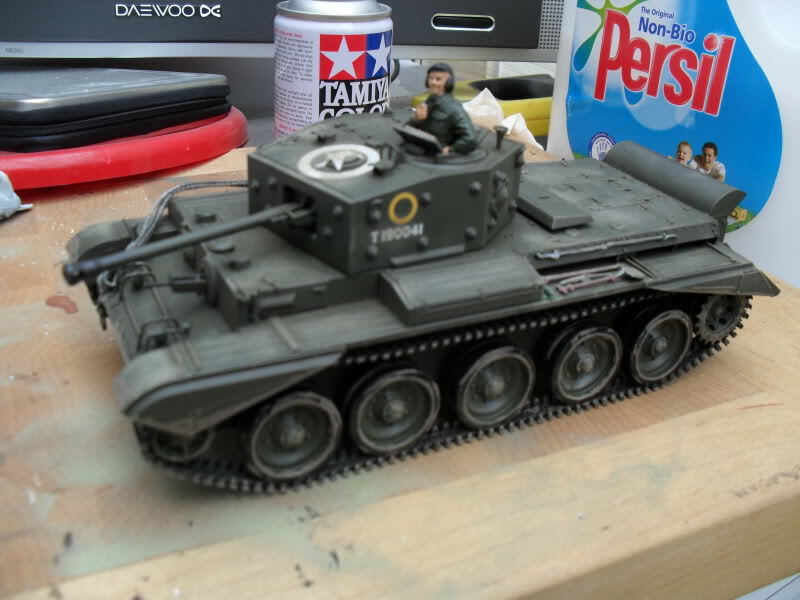 At first I thought these would just be re-branded releases of standard Italeri kits but you do get some nice WOT tanks extras. The main bonus is the inclusion of a code which will get you a special event premium tank in the game itself. Special events vehicles can not brought and are hard to get hold of. The vehicle that come with the Ferdinand is the 105 leFH18B2 Self propelled gun (shown below). As this is a premium vehicle it gets more credits, experience and crew experience than standard tanks you can get in game. It is the first of two SPG’s in the game. 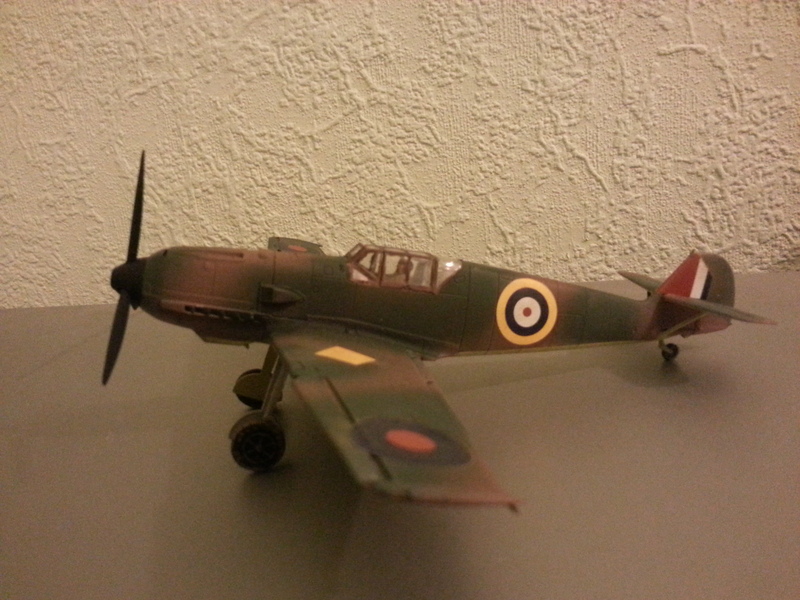 I have used thi vehicle several times in the game and am having great fun with it. It was actually the deciding factor in my purchase. The kit also comes with a semi colour instruction book where the example camouflage scenes are in colour. 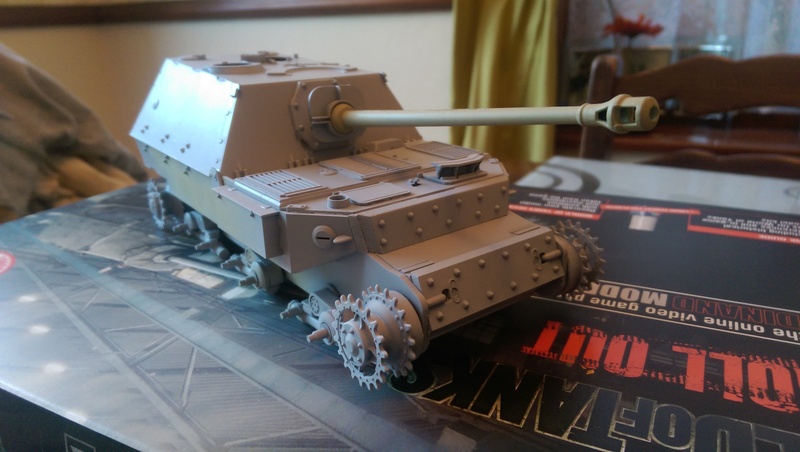 These match some of the schemes you can purchase for German armour in game. There is also a decal sheet of some of the insignias from the game, this comes with both allied and axis decals despite the fact that it is a German tank destroyer. 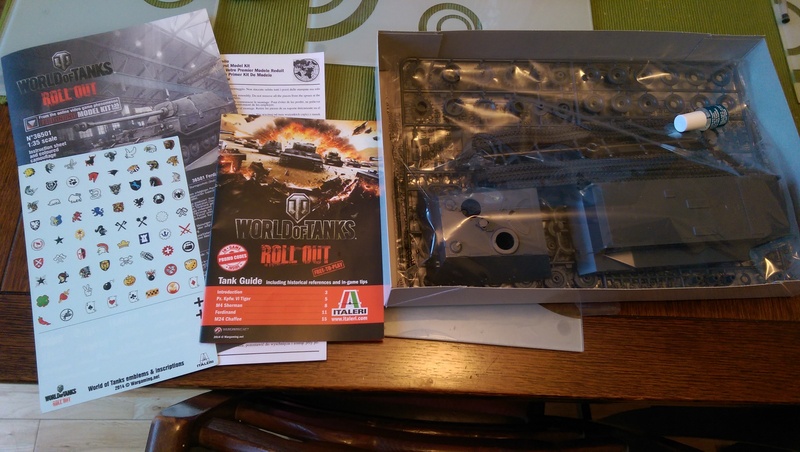 Lastly you get a mini guide showing you the weak points of the world of tanks armour available in kit form.